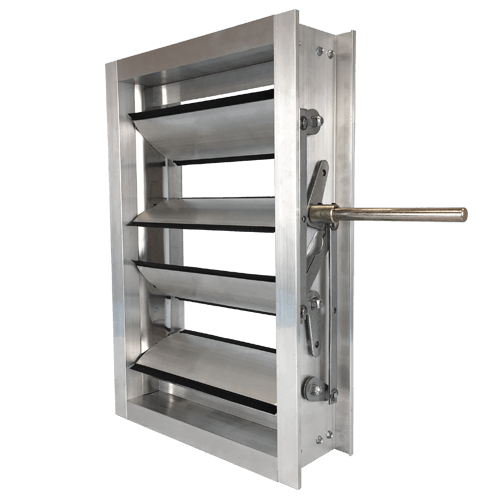 Designed for applications needing smaller fire dampers and maximum free area. 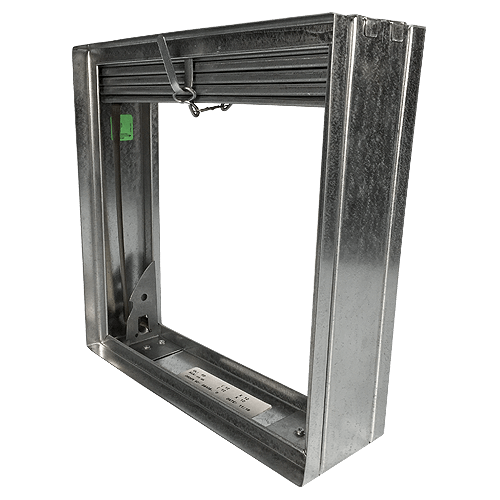 Value added fire dampers where the code-required sleeve is actually the fire damper frame. Available in Type A, B or C, Static or Dynamic! Static and Dynamic UL555-Approved fire dampers for use in walls, floors and partitions. 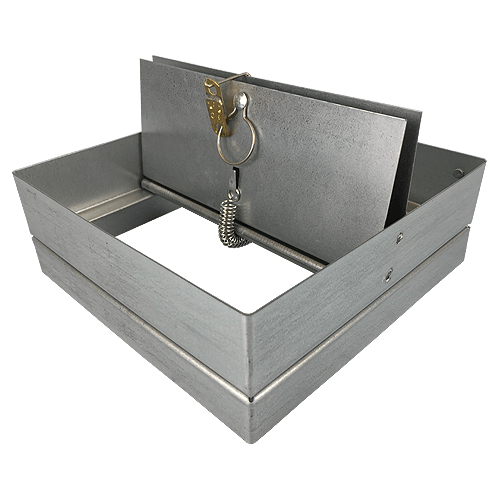 Combination Fire-Smoke Dampers - Tested to UL555 and UL555S for both Fire and Smoke Ratings for use in walls, floors and partitions. 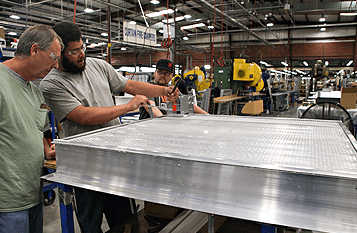 Ceiling Radiation Dampers - UL555C and UL263 Rated for use in ceiling membrane penetrations of rated floor/ceiling and roof/ceiling assemblies. 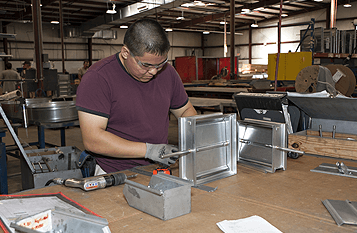 Control & Balancing dampers used to control airflow in HVAC applications. 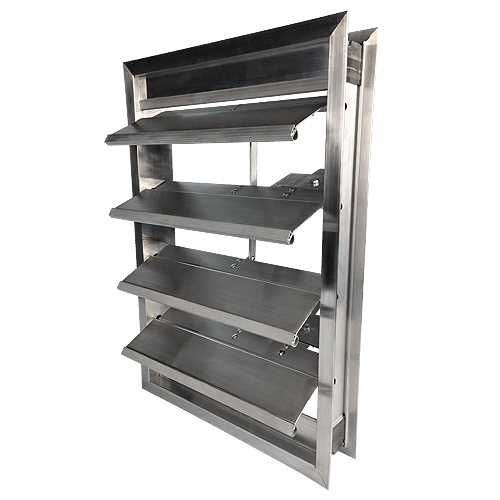 Fabricated in steel or aluminum, with low leakage options available. 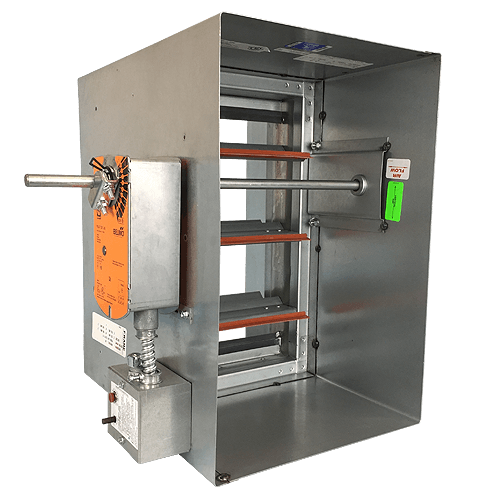 Backdraft dampers control the direction of airflown in HVAC applications. They freely allow airflow in the intended direction, but will close and prevent airflow in the opposing direction. 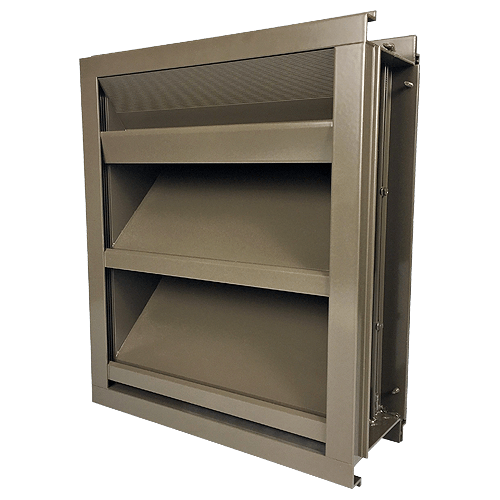 Louvers are intended to protect openings in the external envelope of a building from the penetration of water where HVAC duct penetrations are made for the exhaust and intake of air. 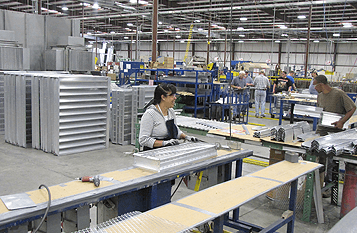 NCA offers Louvers in extruded aluminum and fabricated steel or stainless steel. 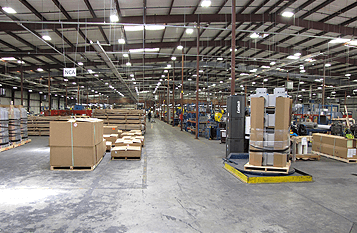 NCA products are sold exclusively through our broad network of manufacturer's representatives knowledgeable in all phases of HVAC design and selection. 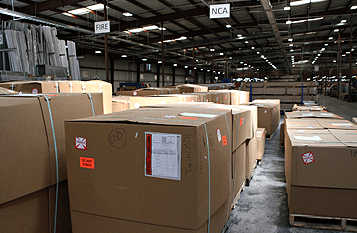 Please follow the link to the Rep Locator to find the NCA representative in your area. 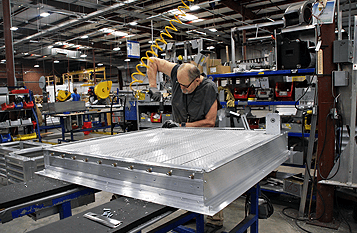 NCA is a brand of Metal Industries Inc., offering a complete line of louvers and dampers. 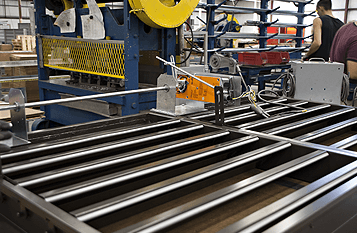 NCA’s extensive line of dampers range from air control and balancing to life safety applications. 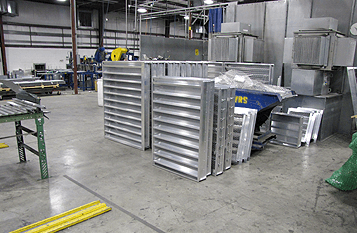 NCA also has an impressive line of louvers including AMCA listed, acoustical, operable and hurricane tested louvers. 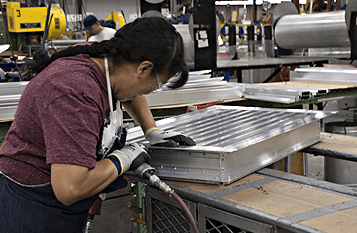 Through engineering and testing, NCA will continue to be a major player in the louver and damper market so engineers and designers can specify NCA with confidence.